A standalone server with ESXi is a powerful tool for small to medium businesses because it allows for a vast amount of virtualization functionality with no license fees. 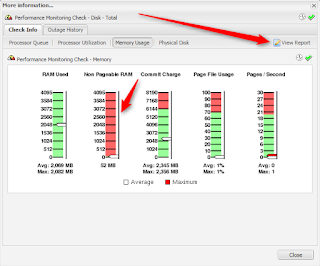 Utilizing the functionality of the MAXfocus RMM to monitor, manage and back up virtual machines is a smart move for you and your clients. 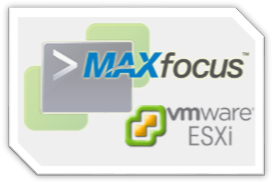 MAXfocus RMM has incorporated functionality to monitor VMware ESXi hosts, monitor and manage virtual machines and provides a robust solution for backing up VM’s in the cloud. 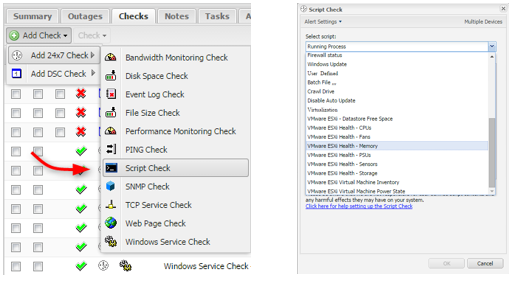 Since you can’t load an agent on an ESXi server, you will need to use any Windows Server with a MAX agent on it. 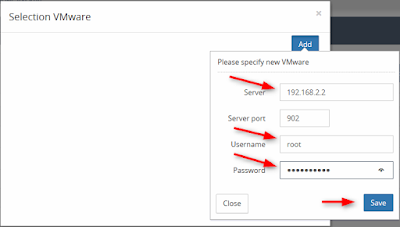 This could even be a VM on the host server; however, using another server that is separate from the host being monitored would be preferable for obvious reasons. 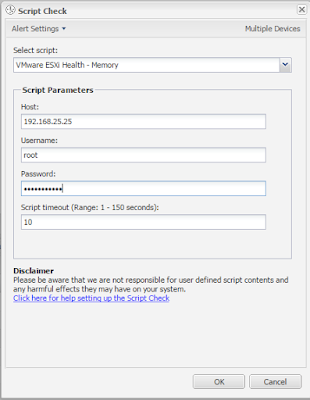 The first step is to open your Max dashboard and choose the server that you are going to use to monitor the ESXi host. 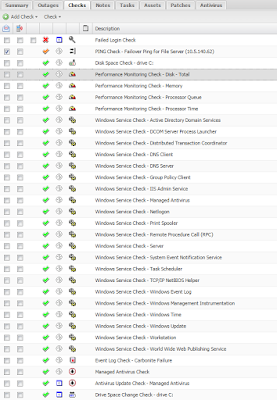 In the south pane of the dashboard choose the “Checks” tab and then select “Add Check > 24x7 Check > Script Check”. 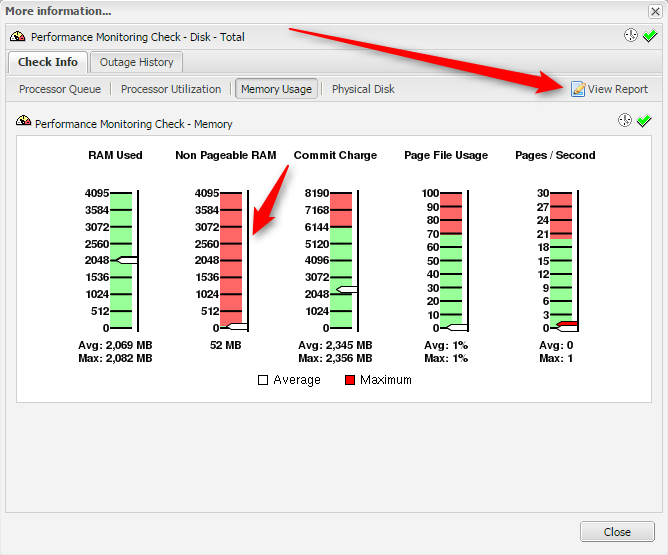 In the dropdown, tou are able to choose the script that matches what you wish to monitor. 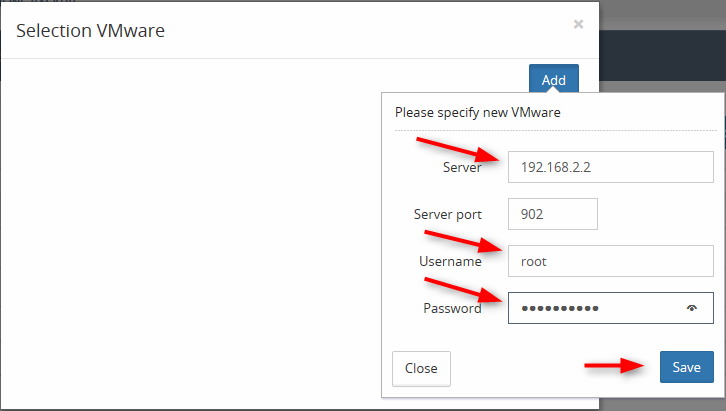 Populate the host by DNS name or IP address and enter the username and password used to access the host. You have now set up a Script Check. If the health of any part of the system you are monitoring degrades, the check will fail. Depending on how you have your alerts configured, you will be notified via email and or SMS. Next, because all server hardware and resources are vary, it is impossible for us to properly guess the thresholds that your servers will require to properly report potential issues. We are going to explore setting the correct threshold for memory. At that point you will understand how to configure the other thresholds. Partners often ask me “How do you know where to set the thresholds”. 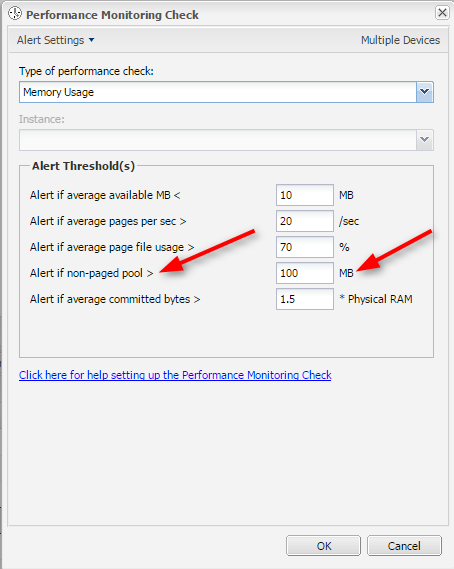 The answer is simple: you are really not monitoring for “performance”, you are monitoring for variation in the behavior of the server. If server A consistently has 70% processor utilization, that is simply too high for great performance; however it might still be “normal” for that server. If Server B consistently uses 10% of the processor and it jumped to 70% you would know there is an issue. Therefore, set the threshold for server A at 80% and server B at 15%. More Information: You can see that the threshold for Non-Pageable RAM is set incorrectly because it is all red. Next, click the “View Report” button in the upper right hand corner. View Report: The red line is the threshold, the green line is the average. If the red line is below the green line, the check will fail. 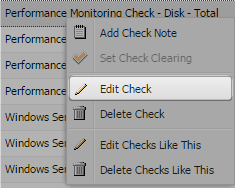 Change the threshold: Right click on the Performance Monitoring Check and choose “Edit Check”. 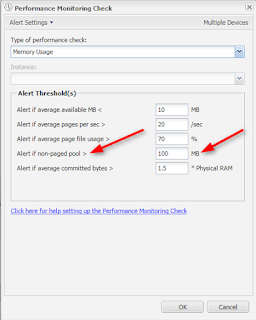 Change the “non-paged pool to 100 and click OK.
Repeat these steps for any other Performance Monitoring Checks that are failing. Managed online backup allows you to backup files, system state, databases, Exchange and virtual machines on an ESXi host. 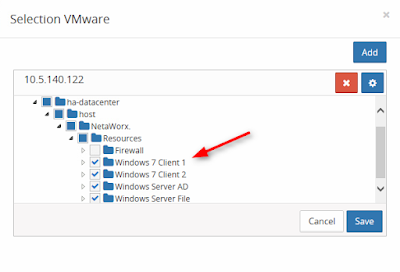 The first step to backing up a VM is deploying an agent that has Managed Online Backup (MOB) enabled. 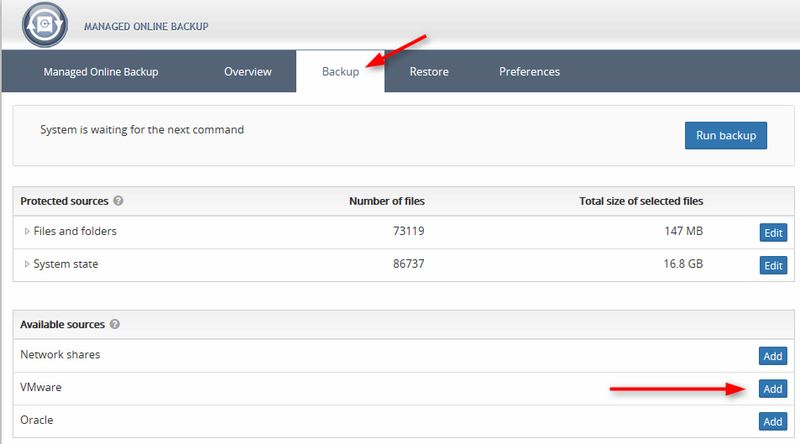 The Backup Manager is automatically downloaded to the server systems in that site. 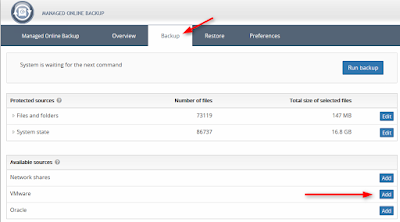 If you just want to deploy the backup manager to a single server and not the entire site then simply right click on the server in the dashboard and choose “Edit Server” and turn it on under the Managed Online Backup tab. 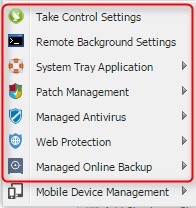 Use Take Control to remote into the server desktop and click on the Backup Manager Icon on the desktop. Click the “Add” button again and enter the IP address of the ESXi host and the username and the password and click save. You will then be prompted to select the VM’s that you want to backup. In the event that you need to restore a VM, downloading it from the cloud could take longer than you have in an urgent situation. If you have the space on the local network you have the option of keeping a local, fully encrypted copy of everything that is being backed up to the cloud. 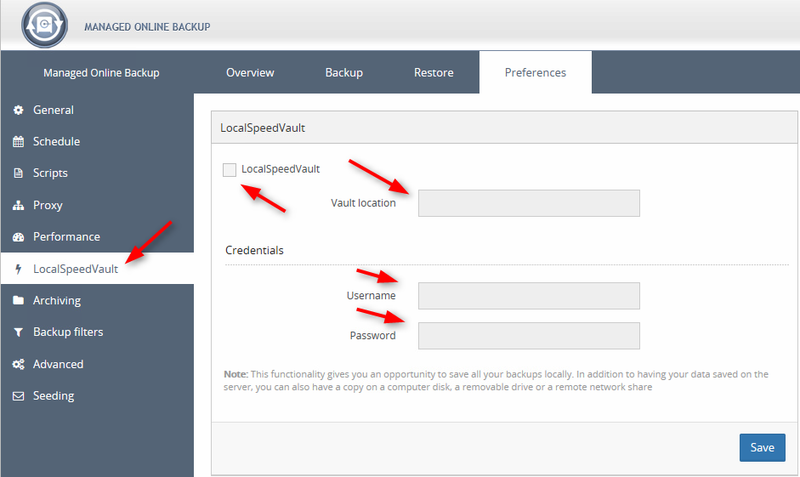 Select Preferences and enable the Local Speed Vault. 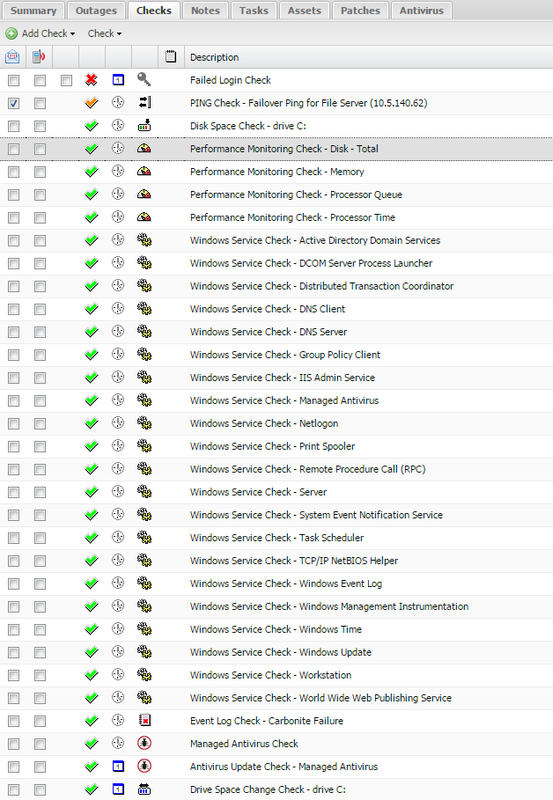 Managing and Monitoring Virtual Machines is very important and profitable for Managed Service Providers. With all the functionality that is incorporated into the dashboard you can offer your clients real value in this solution.